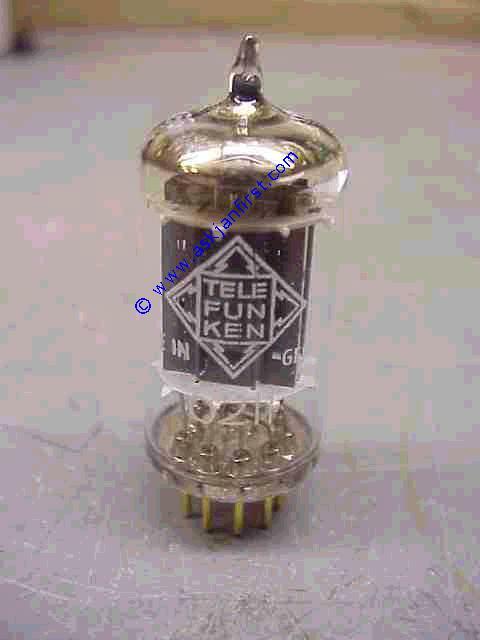 Audiovorröhren. 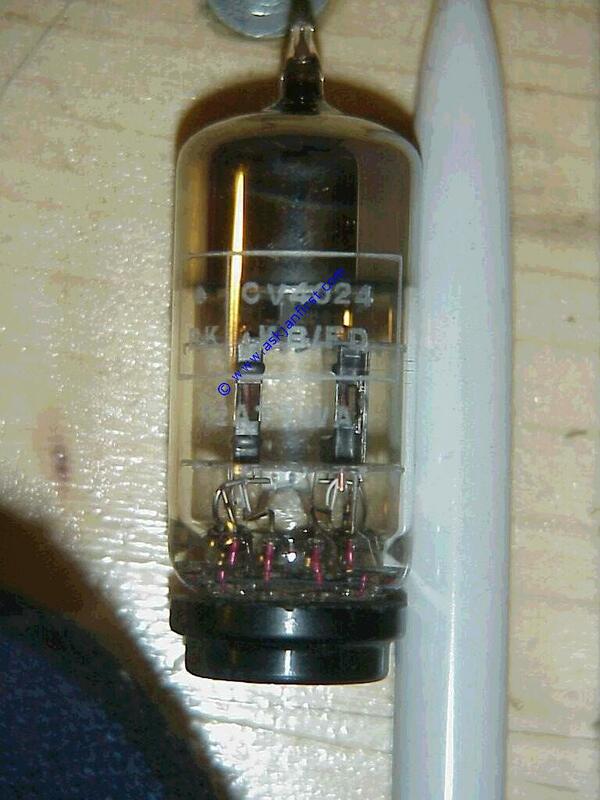 Preamp tubes. 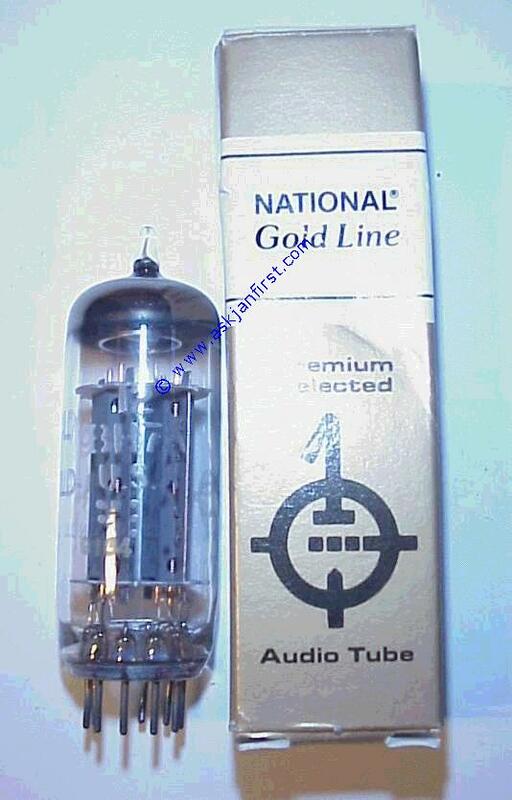 Tubes pour préamplification. 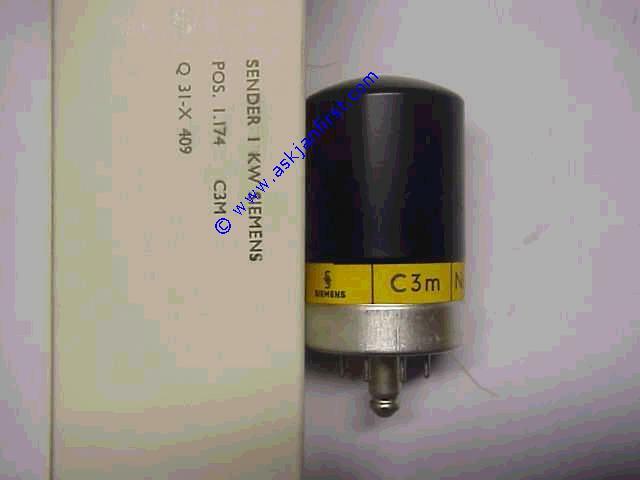 All prices are per piece if not indicated otherwise plus shipping. 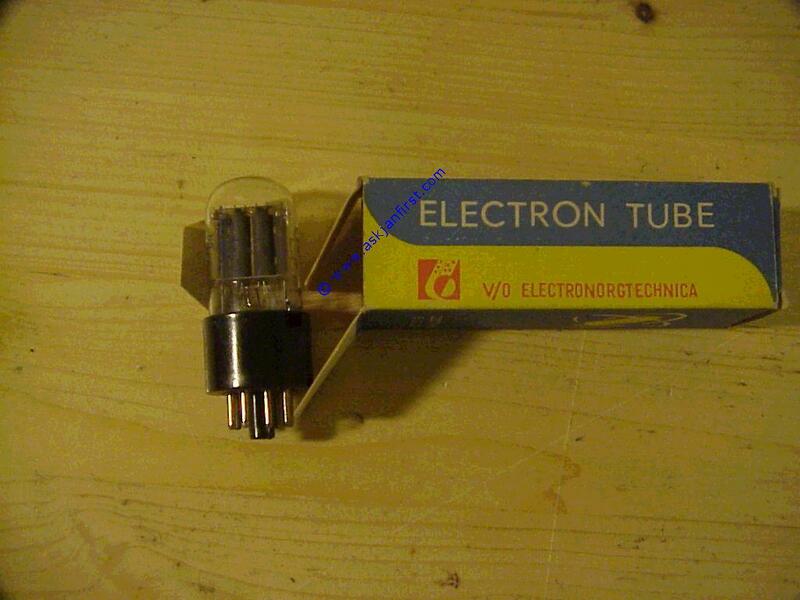 Tous les prix sont par pièce si non pas indiqué autrefois plus frais de port. 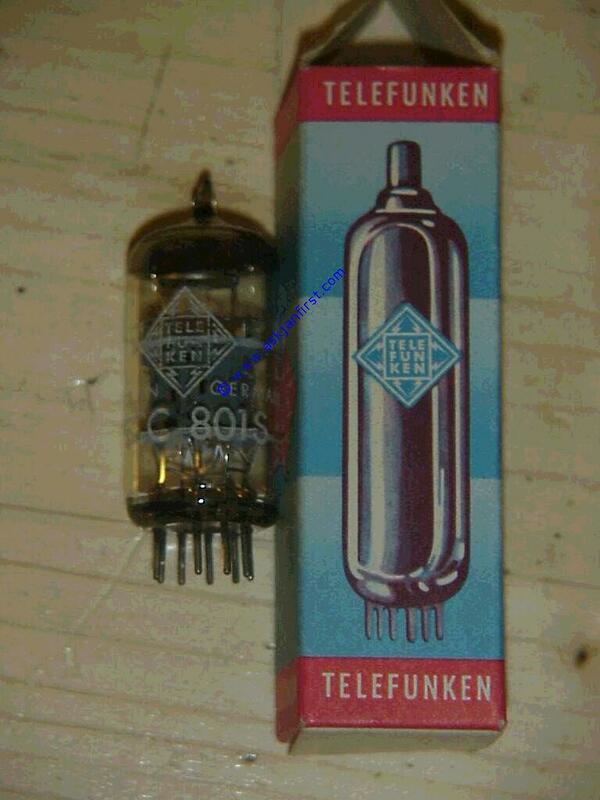 Abkürzungsverzeichnis der verwendeten Abkürzungen. 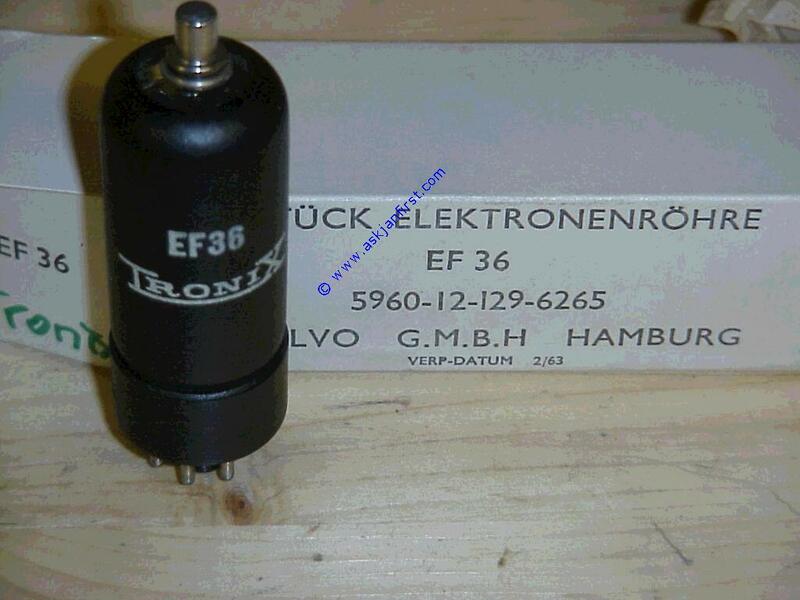 "stock" bei Stückzahl bedeutet: guter Lagerbestand. 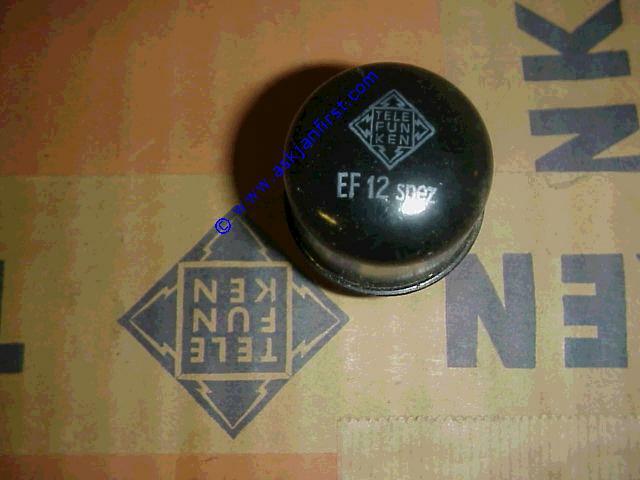 Stück Tyennummer Type Hersteller / Brand Zustand Kommentar comment comment EUR exkl. 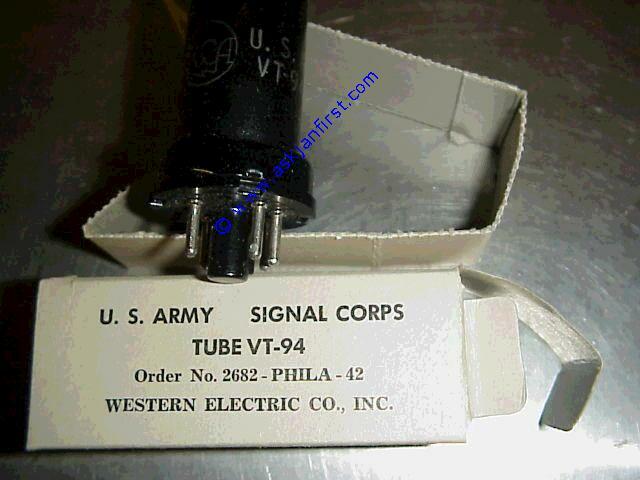 MWSt. 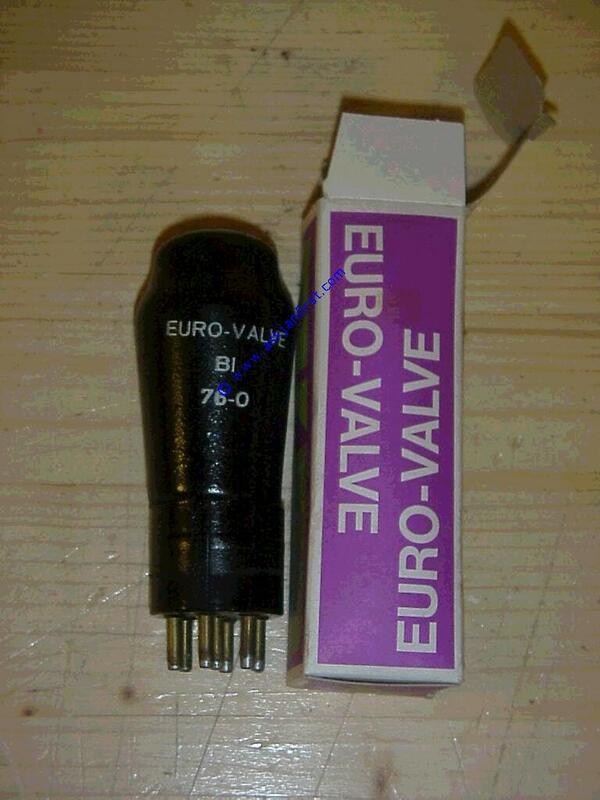 EUR inkl. 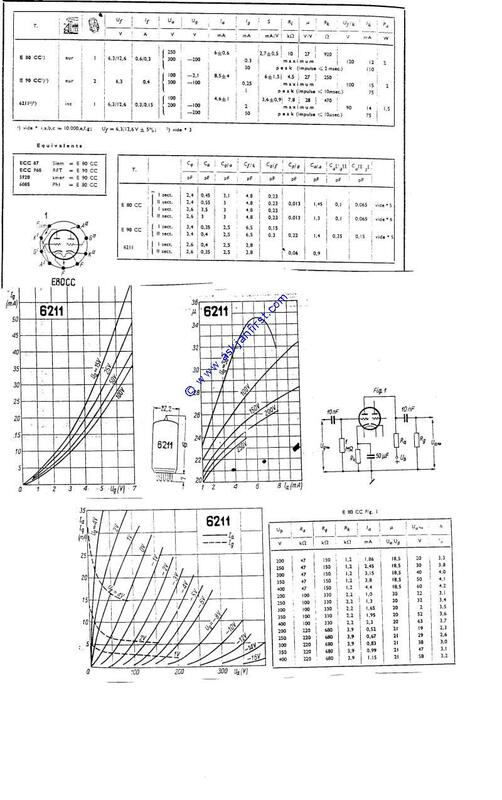 MWSt. 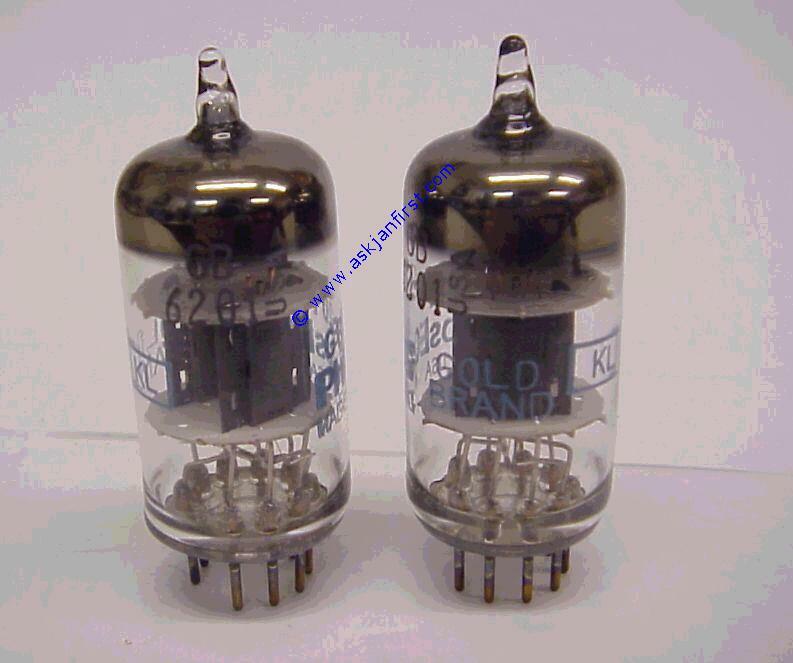 info 12 AT 7 STC no Brimar branded old STC production 12 AT 7 call a.A.
stock 12 AX 7 A CN n alte chinesische ECC 83 new old stock, old Chinese ECC 83s made in the 80´s / early 90´s stamped Mesa STR 12 AX 7-A. 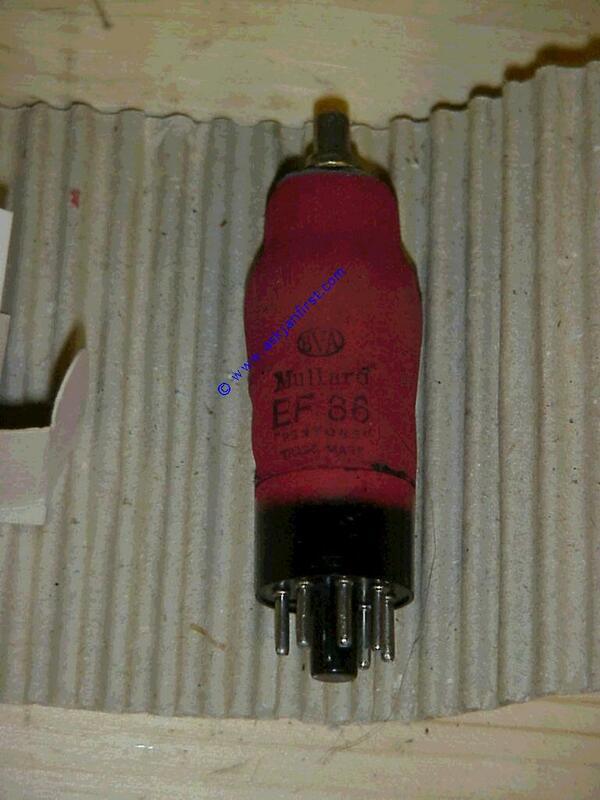 This is the version with the clamp holding the plates. 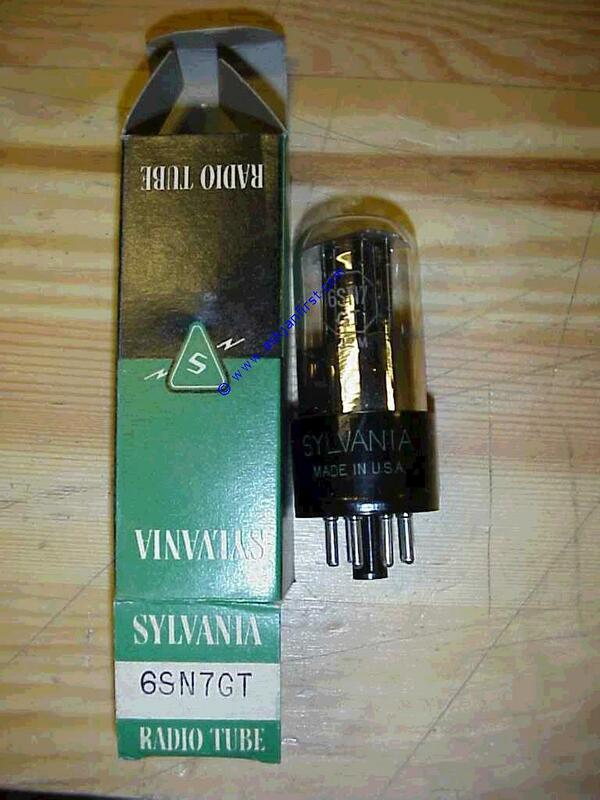 info 12 BH 7 A SU n wir können Ihnen die ähnliche, sehr gute, alte russische 6 N 6 P anbieten. 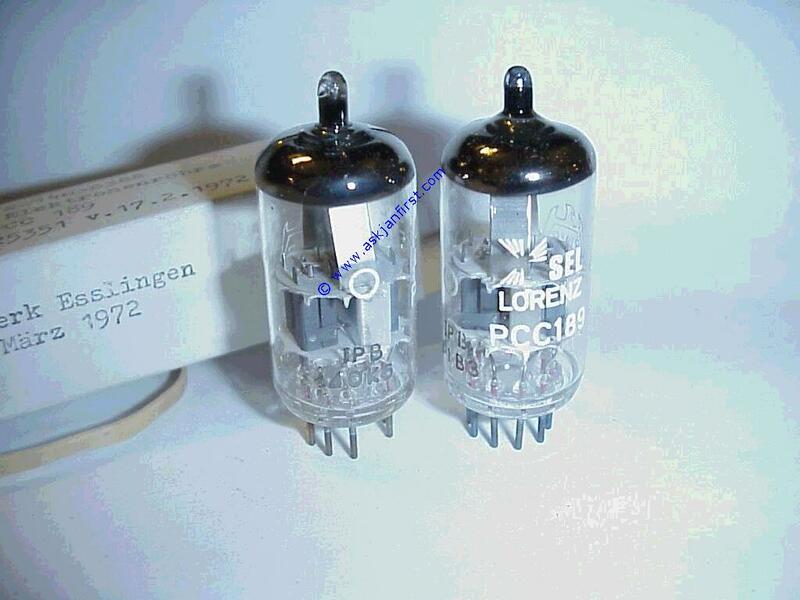 Siehe Liste weiter unten bei 6 N 6 P we can supply very high quality ancient Russian 6 N 6 P which is a very good version of the 12 BH 7 A. 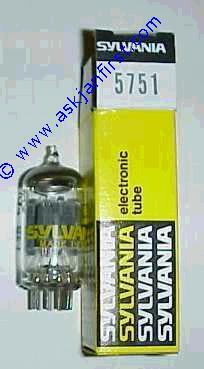 See list for 6 N 6 P Nous pouvons offrir le tube Russe 6 N 6 P a haute qualité. 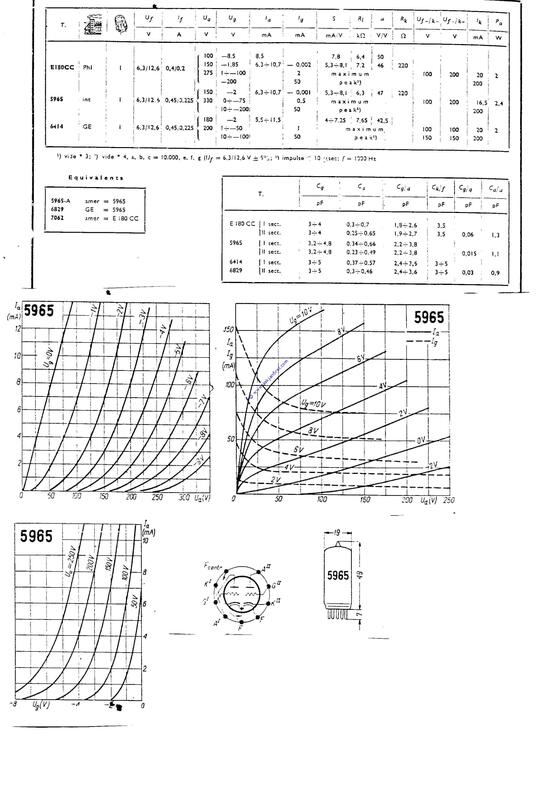 N´est pas exactement égale du E 182 CC mais s´approche bien. 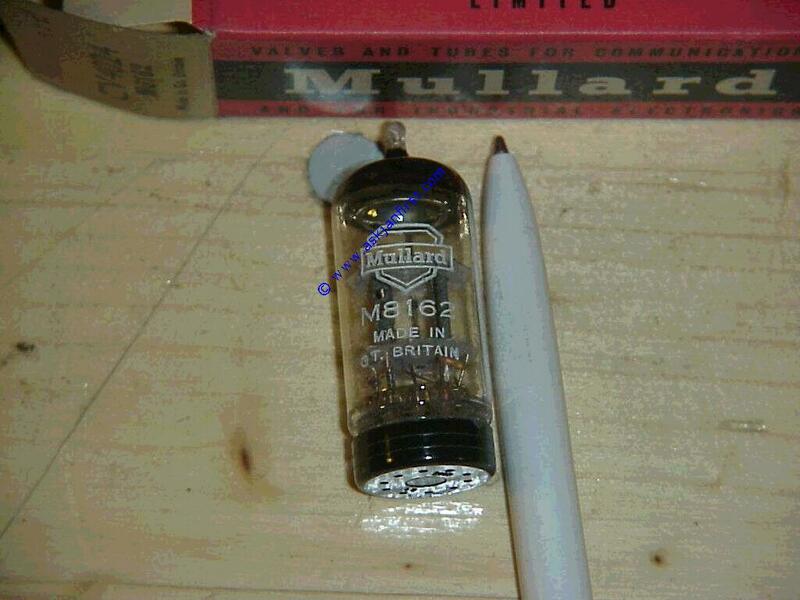 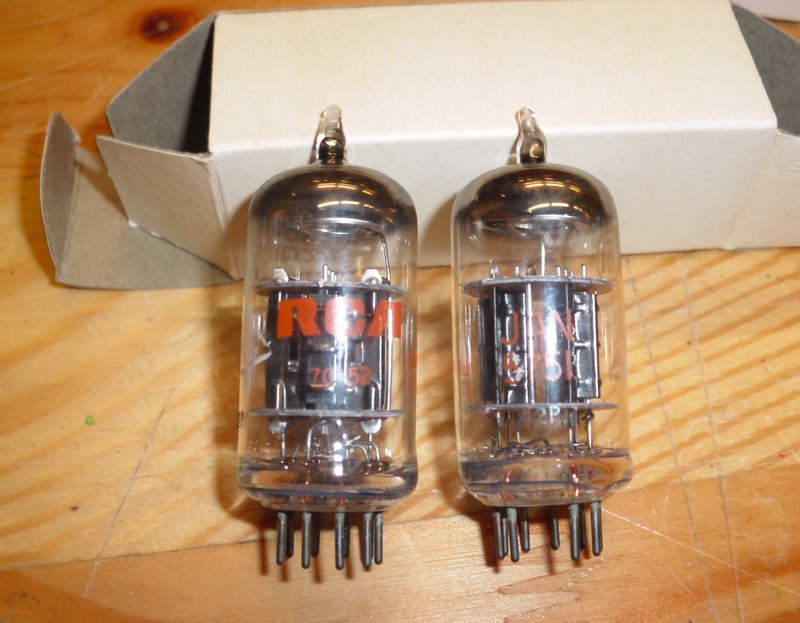 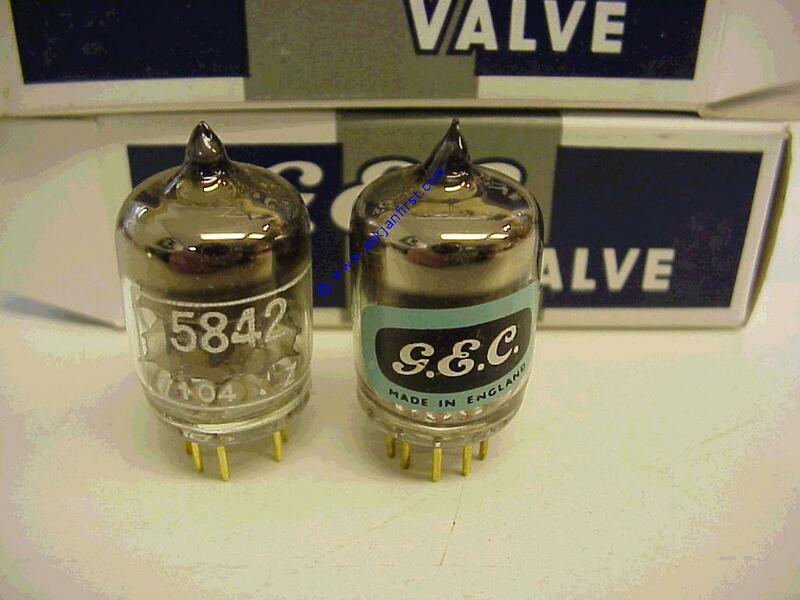 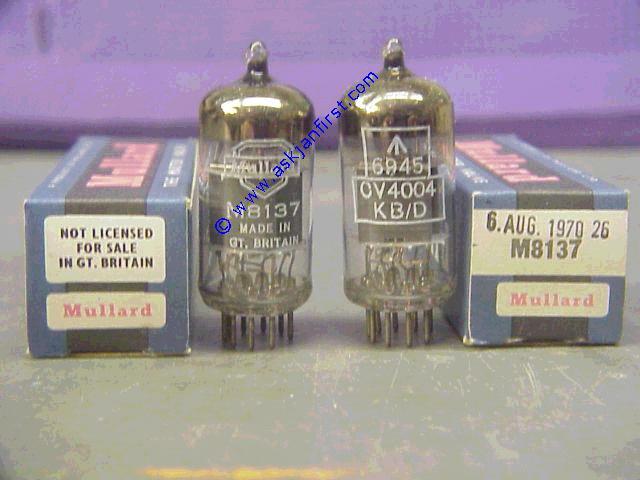 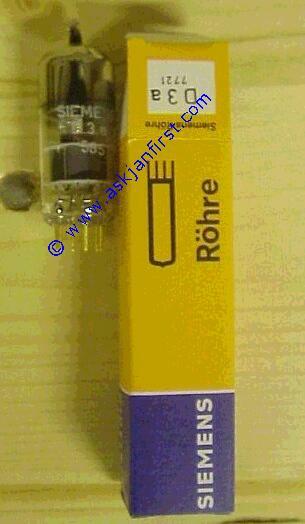 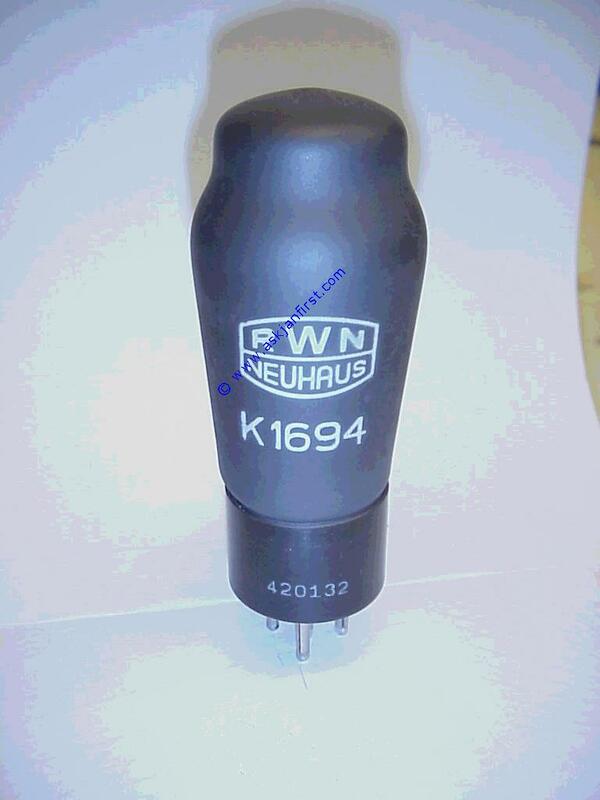 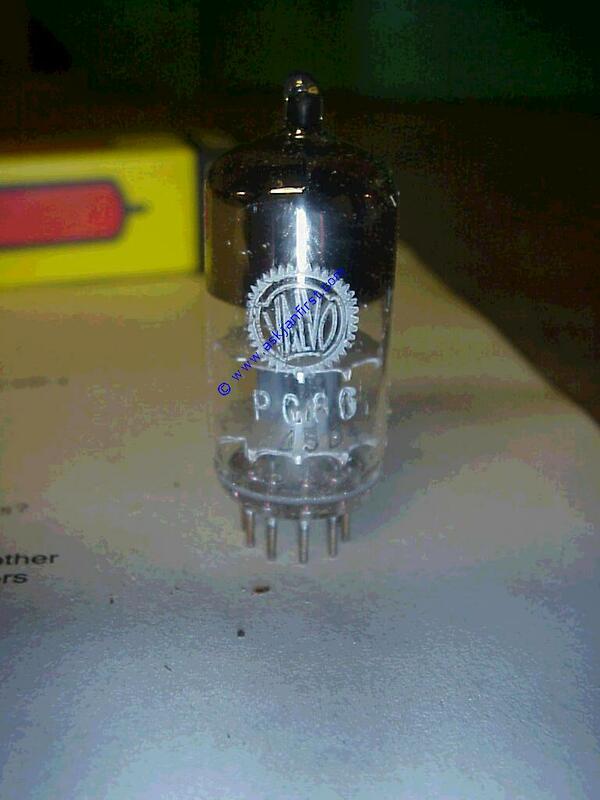 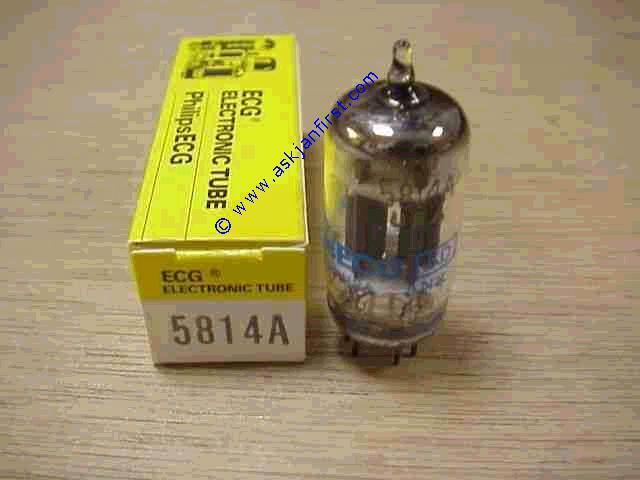 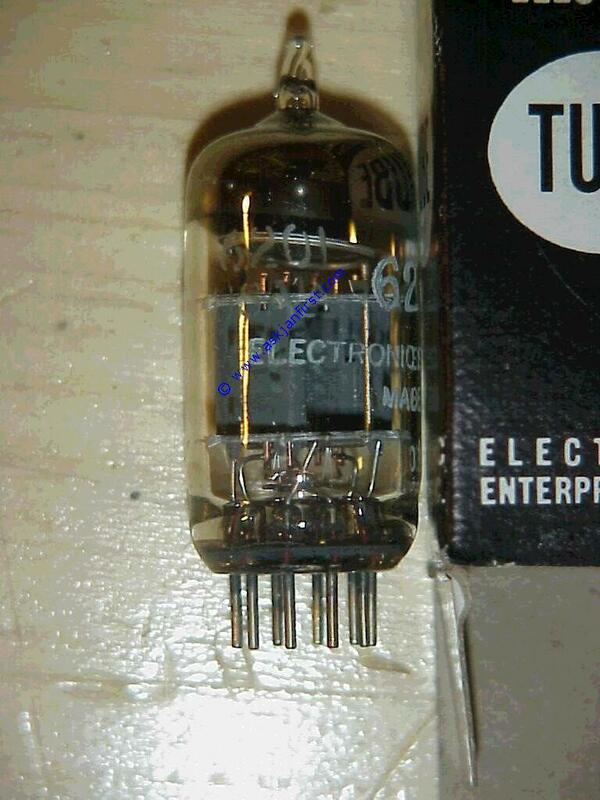 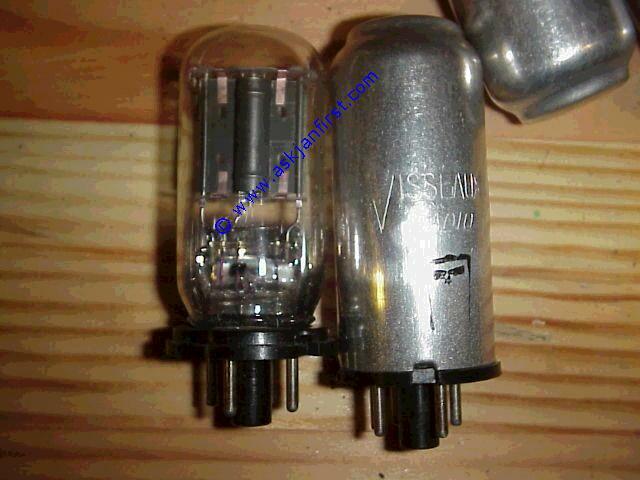 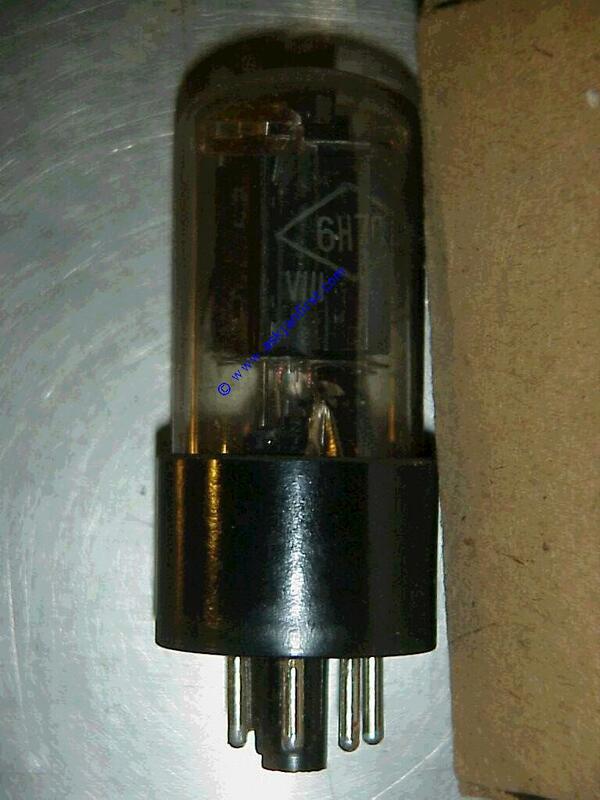 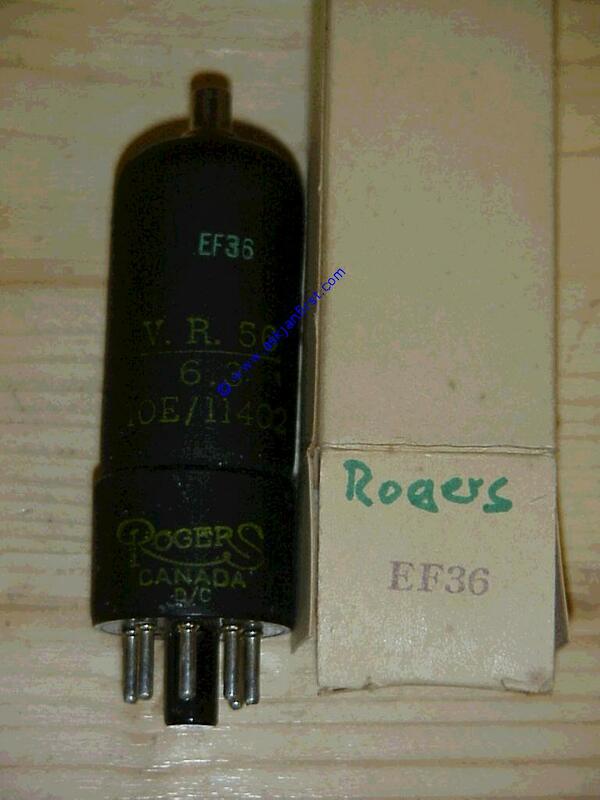 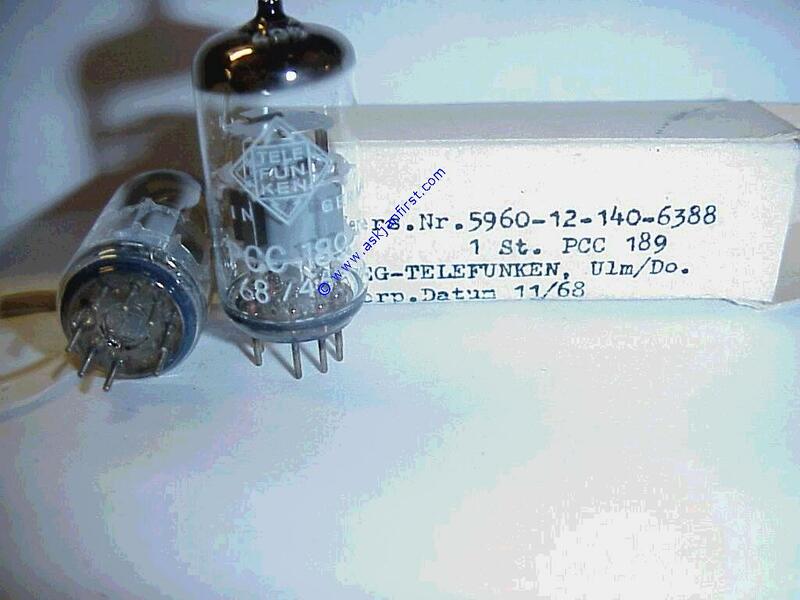 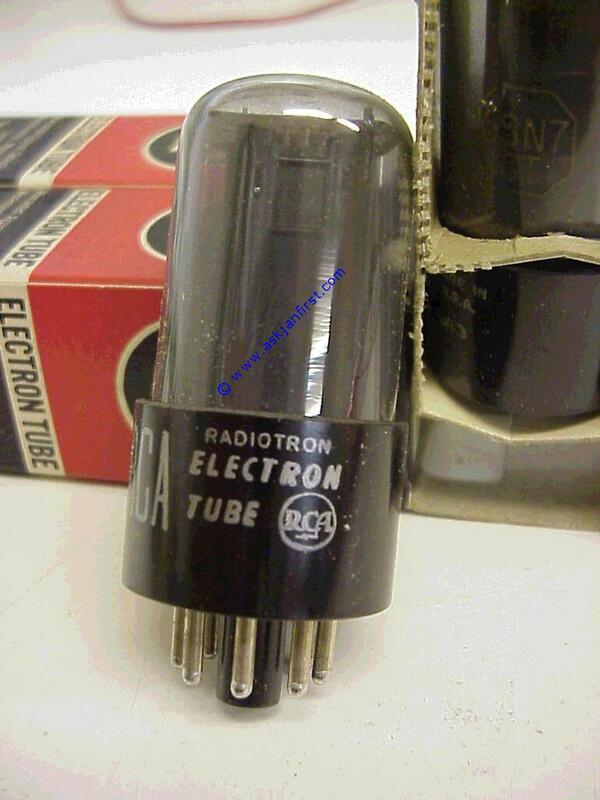 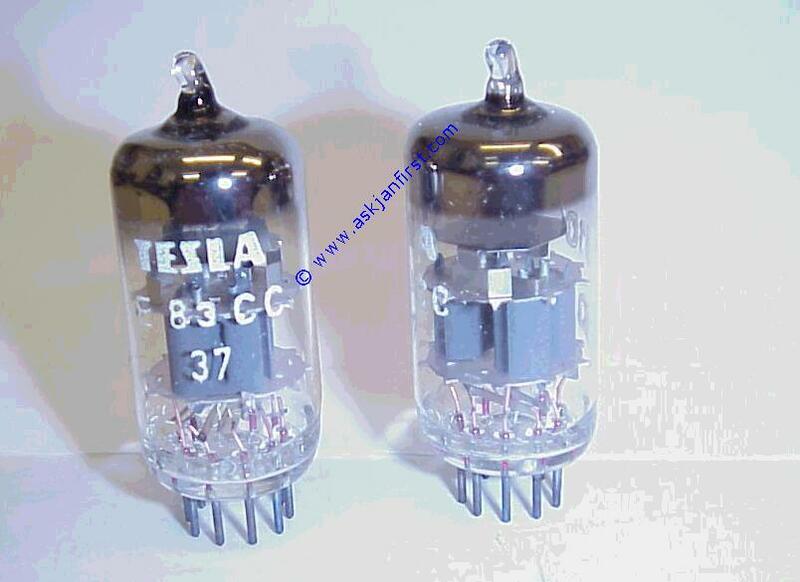 info 5842 GEC no Original GEC Triode Original GEC GEC UK originaux call a.A.
info 6 N 30 P EW SO n / no Sehr lineare, leistungsstarke, vielumjubelte Treiberröhre Very linear, high quality, long life high power twin triode tube Double triode, très lineare, très solide et avec haute puissance call a.A.
stock 6211 T <> n Das ist eine Industrie-ECC8.., sehr gute Qualität, im Gegensatz zu US-Fabrikaten rauscharm. 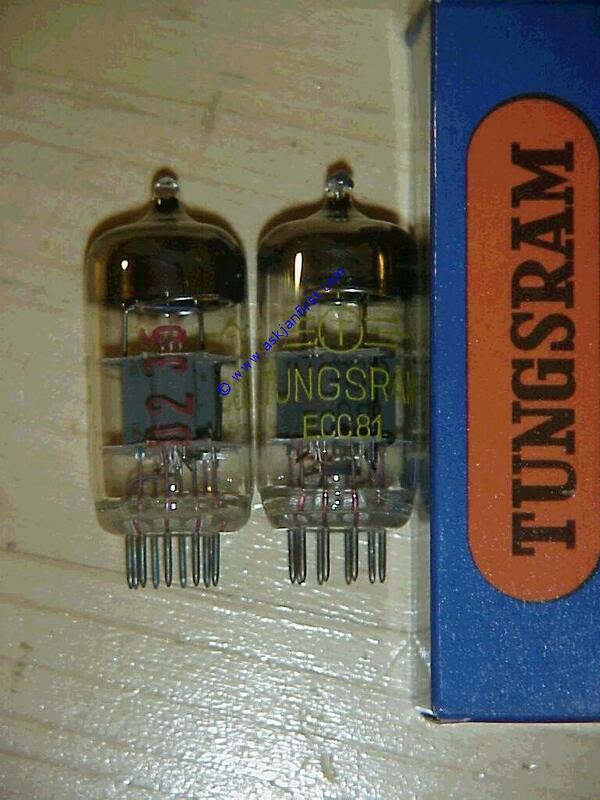 gold pin twin triodes, plate size about the size of the ECC 83 long plate. 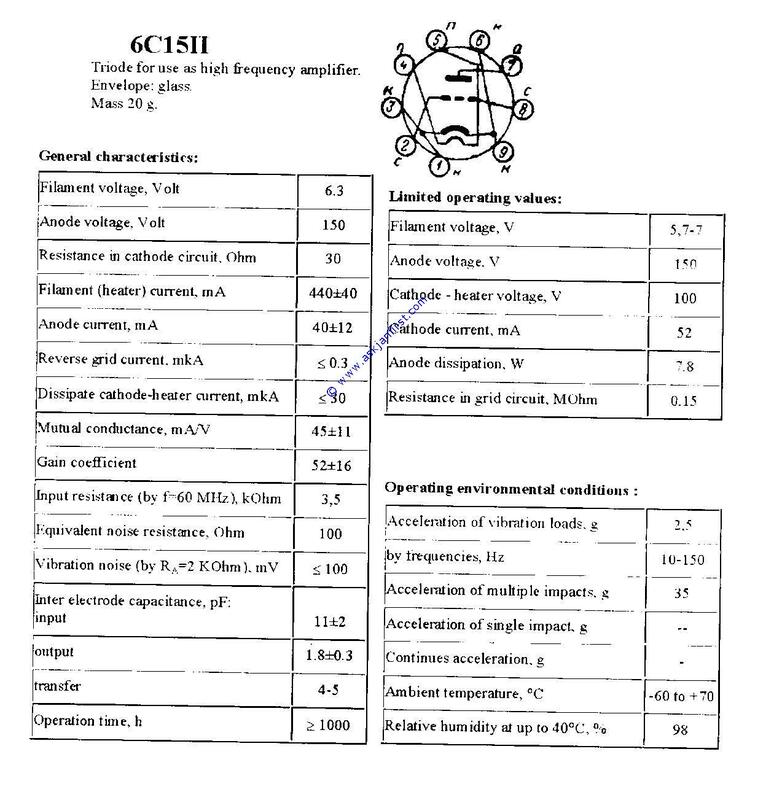 Datasheet available online. 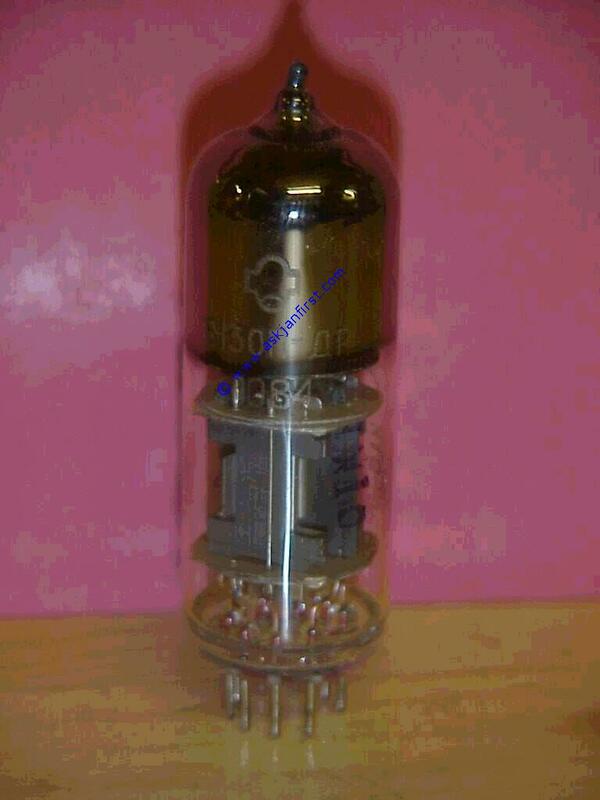 This tube is a superb replacement for the E 80 CC and the 12 BH 7 in many applications. 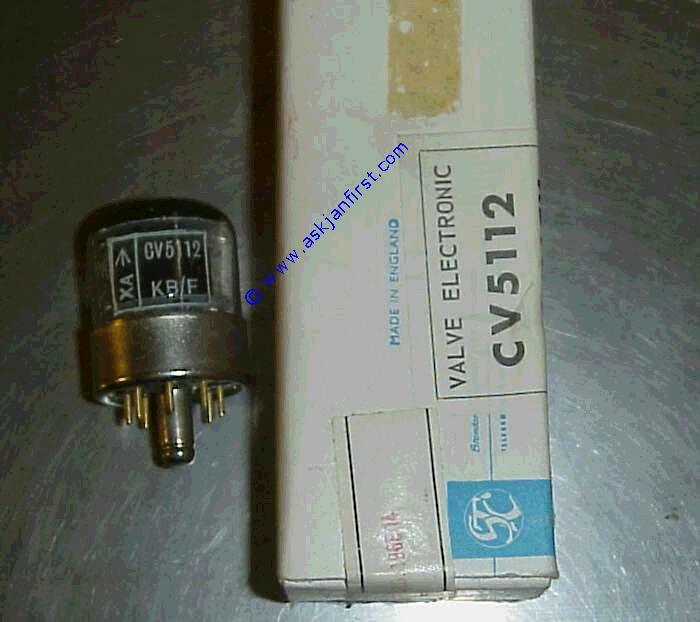 call a.A.
info CV 4004 Mu UK no famous box plate ECC 83 / E 83 CC call	 a.A.
info CV 4024 Mu no NOS Mullard /STC UK CV 4024 / 12 AT 7 W / M8162 call a. 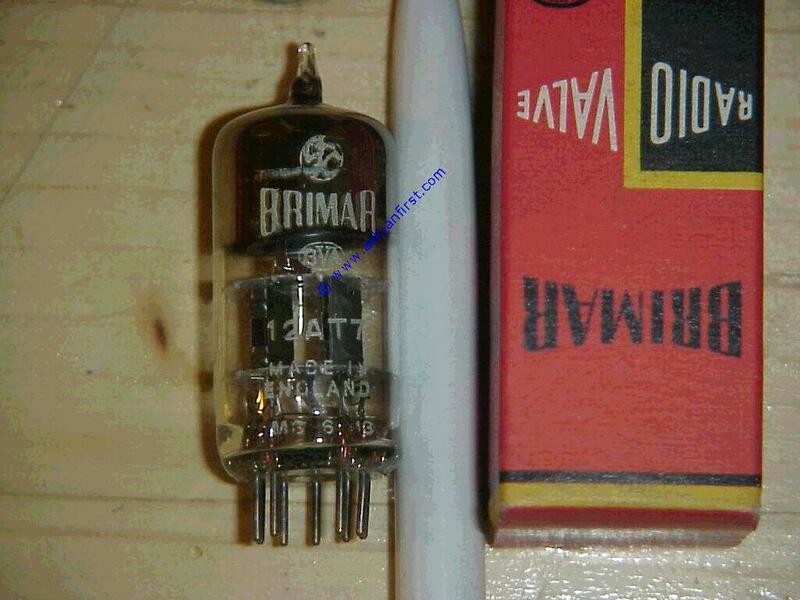 A.
info CV 4024 UK no mil boxed mid-sixties original Brimar 12 AT 7 WA / CV 4024 call a.A.
info E 182 CC wir können Ihnen die sehr gute, ähnliche alte russische 6 N 6 P anbieten. 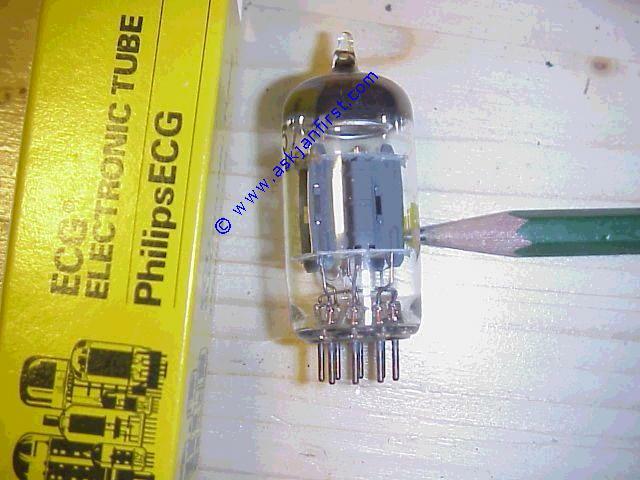 Siehe Liste weiter unten bei 6 N 6 P Auch führen wir eine US-Philips-Type 5687 WB we can supply very high quality ancient Russian 6 N 6 P which is a very good version of the 12 BH 7 A. 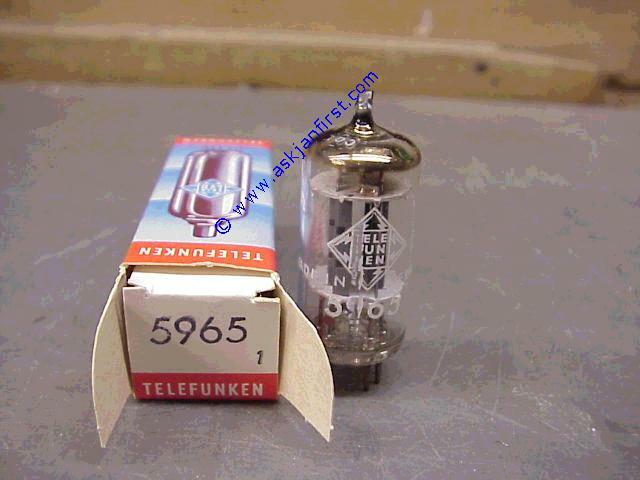 See list for 6 N 6 P Nous pouvons offrir le tube Russe 6 N 6 P a haute qualité. 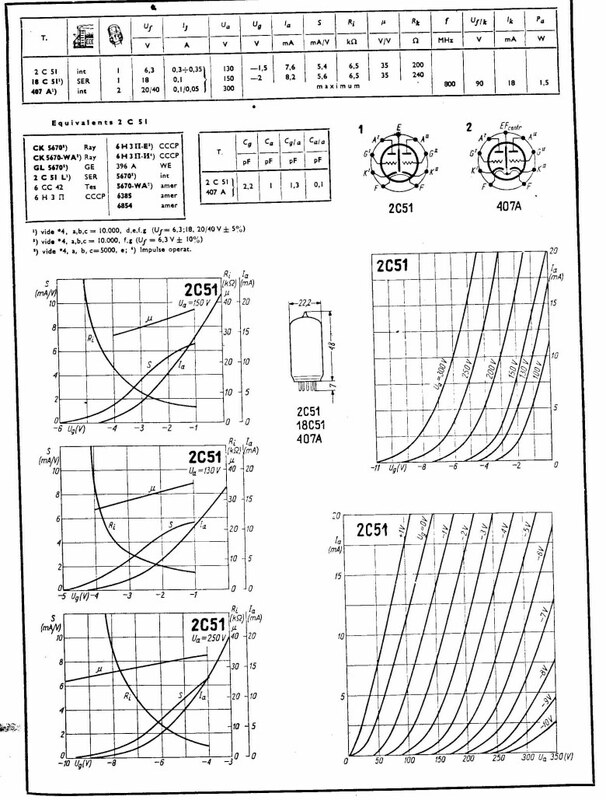 N´est pas exactement égale du E 182 CC mais s´approche bien. 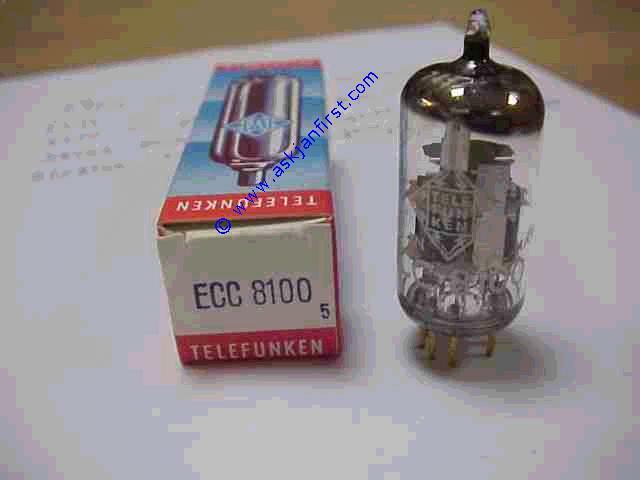 info E 188 CC V/T/P n / no gold pin call a.A.
info E 81 CC SH no original Siemens made in Munich tube factory call a.A.
0 ECC 802 S CZ no alte Teslas vintage Tesla call a.A.
info ECC 82 V no call a.A.
info ECC 82 V 100 call a.A.
0 ECC 83 P no Original Philips Holland OEM Stamp, Philips Holland ECC 83 call a.A.
0 ECC 83 P / EI no Alte Yugos auf TFK Machinen gebaut, TFK 17 mm-Anoden-Design philips stamped old Yugo, copy of the TFK 17 mm long smooth plate ECC 83 call a.A.
EF 37 A Mu no call a.A.